Clarkdale hosts about 100,000 tourists a year. Founded in 1912 by William Clark, Clarkdale is Arizona’s first master planned community and it was one of the most modern mining towns of its time. Clarkdale construction began in 1914 and finished in 1930. The phased construction led to several architectural styles, such as: Mission, English Cottage, Bungalow, Craftsman, Eclectic, Tudor and Spanish Colonial Revival. In 1989, the entire town site of Clarkdale, comprising 386 homes and buildings, was placed on the National Register of Historic Places. It is rural Arizona’s largest Historic District. Over the years Clarkdale has grown and changed but one thing remains constant, its small town sense of community. 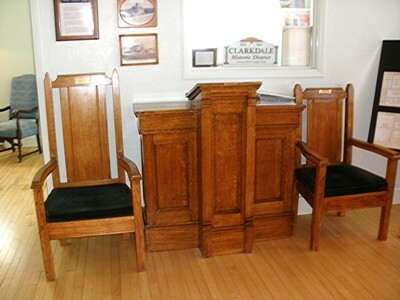 The museum contains an eclectic collection of exhibits which reflect home, school, church and work life in Clarkdale. Don’t miss the oak pulpit originally used in the 1921 Clarkdale United Methodist Church and present site of the Clark Memorial Library. It was given to the museum by the church with the stipulation that if the museum ever dissolves or the congregation needs it back, it will be returned. The manufacturer is unknown. The pulpit is in good condition with nail heads on reading platform and holes on left side from a mounted light or microphone. On back side, two shelves run the whole 46″ width. The oak pulpit chair has a medium high back and a brass plate that says “By many hands the work of God is done.” It is dated 2/8/1970, and was made by Hiwassee Furniture Mfgr. Inc, makers of fine church furniture in Madisonville, Tennessee. The chair is in excellent condition. . In the 14th century, an ancient people found a home along the Little Colorado River. These people, the Hisat’sinom (Anasazi), farmed the rich flood plain before continuing joining people living on the mesas, known as the Hopi. Homolovi is Hopi for “Place of the Little Hills” — the traditional name for Winslow, Arizona. 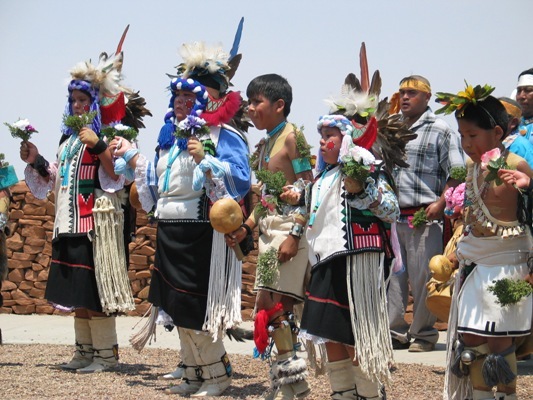 The Hopi people of today consider Homolovi to be part of their homeland. Broken pottery and stones are now part of the land, and are mute reminders that the Hopi continue to follow the true Hopi way. Migrations ended when the people settled at the center of the world, the Hopi Mesas north of Homolovi. However, when the Diné (Navajo) and later the Europeans arrived, the Hopi saw the newcomers destroy their ancient homes while digging in sacred sites for curios. To protect lands from further desecration, the Hopis supported the creation of Homolovi Ruins State Park. 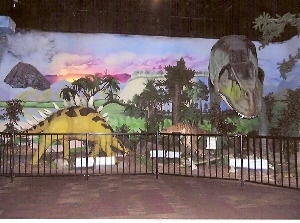 This park was established in 1986 and it opened in 1993. Homolovi Ruins State Park now serves as a center of research for the late migration period of the Hopi from the 1200s to the late 1300s. While archaeologists study the sites and confer with the Hopi to unravel the history of Homolovi, Arizona State Parks provides the opportunity for visitors to visit the sites. The Homolovi Visitor Center features exhibits explaining the archaeology of the ancient people of Homolovi. Exhibits describe the continuing tradition of Hopi pottery, carving and other art forms. The work of various artists, including the art of Hopi children, is incorporated in a changing exhibit. The First Works exhibit is a collection of children’s art work. In addition, the park maintains a collection of returned artifacts from within the Winslow area. These pieces include prehistoric pottery wares, stone and bone tools. There are also historical art works by Fannie Nampeyo, Charles Loloma, Paqua Naha (First Frog Woman) and Helen (Feather Woman) Naha dating from the late 1880s to the late 1960s. run, archaeological information, and artist demonstrations. The next day, the event moves into the community at Sipaulovi Village where visitors can see meet artists and learn more about the Hopi tribe. Hiking Homolovi provides the visitor with the opportunity to walk in the footsteps of the ancients. Nusungvö which means “Place of Rest” in the Hopi language is a 1.2 miles primitive hike across high prairie grasslands. Tsu’vö which means Path of the Rattlesnake in Hopi, is a half mile loop trail between the twin buttes within the park. It is a nature trail and an archaeological trail where the visitor can see milling stone areas and petroglyphs. Diné is a one and a half mile trail that goes to Diné Point. The Homolovi I trail is an easy quarter mile stroll on an old dirt road. The Homolovi II Trail is a half mile paved trail that is wheelchair accessible. The 100-yard trail allows access to the largest of the Park’s archaeological sites and contains an estimated 1,200 to 2,000 rooms. In 1983, the San Pedro valley Arts & Crafts League and the local Historical Society merged to form the San Pedro Valley Arts and Historical Society in Benson. Today’s museum is housed in a 1920’s store building once owned by W. D. Martinez, a local grocer. The grocery display is part of the original store. William D. Martinez, born in Magdalena, Sonora, Mexico sold the store to the Steinfeld family who used it as a laundry, grocery store, and promoted it as a place to make soap, but that never materialized. The Ivey family purchased the building in 1937 and from that time until 1983 it was used for storage. The Ivey’s also owned a drugstore and a Phillips gasoline service station in Tombstone. A separate building on the museum premises houses an art display and interactive quilting experience. Museum quilters are available to teach quilting history and give the visitor a chance to help with the quilting. The visitor can also see historic quilts from the area. The visitor registration desk, the bookkeeper’s desk and filing cabinet came from the old Cochise County Bank. Harold Edson donated the roll top desk. It belonged to the Lewis Brothers who had a garage at 4th and Huachuca Streets, current location of the Circle K. The green safe which once served the Benson school, was donated by the school. The black safe was donated by the City of Benson. The lovely large museum doors are original to the building. The optometric chair and equipment belonged to Dr. Robert Friske who was Benson’s optometrist for many years. His daughter Tammy took over and operated the business until she left in 1994. The portable sewing machine belonged to Winn Bundy’s mother and the treadle to Merlin Rose. Winn Bundy runs the unique Singing Wind book shop from her ranch just outside of Benson. Anyone at the museum can direct the visitor to Winn’s “must see” book shop. The pot-bellied stove in the grocery store rode the Southern Pacific mail train for many years. Also on exhibit is Benson’s first refrigerator which was used at the Hi-Wo Grocery and Mercantile on the corner of 4th and Gila Streets. Hi Wo, born in China, operated the mercantile for almost a century. The mercantile is still owned by his descendants and is on the National Historic register. The metates and mano were found locally. Vay Fenn found the millstone in Sinaloa, Mexico, near an old Spanish mine. It probably dates to the 1600’s. The museum gift shop has local handcrafted items, greeting cards, Benson items, cookbooks, and Arizona history books. Every year the museum hosts a month long series of art classes for students from the surrounding area. A variety of projects are available to fit the children’s interests. The museum’s research library consists of hundreds of files on subjects pertaining to the area. It includes old newspapers, photographs, journals, directories and oral history collection from local residents. Contact the museum for terms of usage. 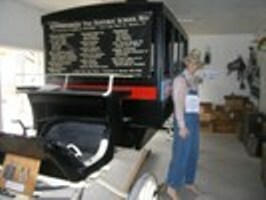 Don’t miss the horse drawn school bus which carried many a Benson child to school. The museum had to provide a special building to house this vehicle. Just one of Arizona museums many memory trips in its celebration of its centennial as a state is its Liberty Bell. The 2,080-pound bell was one of fifty-three replica liberty bells cast by a French foundry in 1950. During that year, U.S. Treasury Secretary John W. Snyder presented them to each of the forty-eight contiguous states and five territories to promote a U.S. savings-bonds drive. 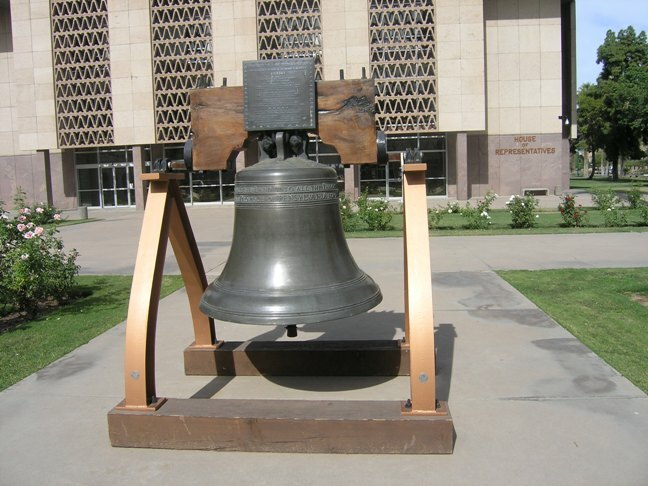 As part of that program, the Arizona bell was paraded throughout the state from May 15 through July 4, 1950. Representatives from the Treasury Department’s Savings Bonds Division conferred with officials of the various States, Territories, and the District of Columbia to make arrangements for turning over the bells. The arrangements included plans for the organization of proper ceremonies to mark the occasion. The replica Liberty Bells are identical in size, weight, manufacturing process, legends and markings, and tonal quality, with the original Liberty Bell in Philadelphia. Each bell with its mounting stands about six feet high is twelve feet in circumference around the lip, and seven and one-half feet around the crown. Local Savings Bonds volunteer organizations in the various states arranged for receptions and tours for the bells. The donors of money and material for the Liberty Bells included the Anaconda Copper Mining Company, Kennecott Copper Corporation, Phelps-Dodge Corporation, American Smelting & Refining Company, the American Metal Company, Ltd. and the Miami Copper Company. The Ford Motor Company supplied forty-nine red, white and blue trucks which took the bells on the tour of the states. The United States Steel Corporation’s American Bridge Company provided the standards, stays and hardware for mounting the bells on the trucks. Individual truck operators within the States paid the salaries of the drivers. Standard Oil Company of New Jersey contributed the oil and gasoline required by the trucks.